The team at The Pink Link have consistently supported both the Stadium and Huddersfield Town on a number of ventures over the years, raising money for the various club charities and developing a strong relationship with the commercial partners at the Stadium. Charity work has included support for Pedal for Pounds, raising funds for the Yorkshire Air Ambulance and the Huddersfield Town Academy, having sponsored the event on three occasions and taken part in four. In addition The Pink Link are major supporters of the Huddersfield Town Foundation which offers breakfast to approximately 1,000 local children every month as part of the charity’s Breakfast Club initiative. More recently the business has supported the Huddersfield Town team through the launched the ‘Pink Link Ltd Walkway of Legends’ at the club’s training ground. The walkway features the fans selected, top 14 iconic Huddersfield Town players of past and present. The Pink Link are also proud members of the club’s Huddersfield Hundred Partners. 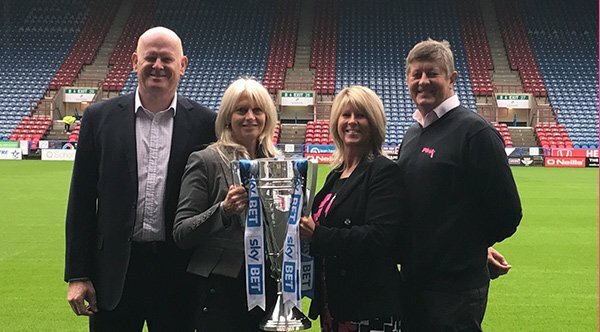 Vicki Davenport, Managing Director at The Pink Link commented “We are very proud to associate The Pink Link name with Huddersfield Town and the John Smith’s Stadium, and we are excited to be linked to a Premier League club for the forthcoming season.